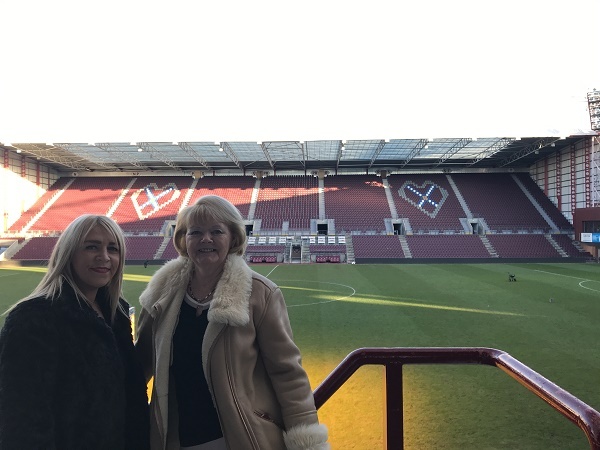 Hearts owner and Chief Executive, Ann Budge, has been unveiled as patron to local charity Care and Repair Edinburgh which provides a vital lifeline service to older and disabled people across the city. Ms Budge takes up the role which was previously held by Scottish actor Brian Cox which will continue to strengthen the existing partnership between the charity and Big Hearts Community Trust, the official charity of Heart of Midlothian which sees fans of the club volunteer to provide practical support to the elderly and disabled across Edinburgh. At Care and Repair Edinburgh there are two volunteer roles available under the banner of the ‘handyperson’ service. Volunteers with some basic DIY skills and volunteers who can provide some basic technology support. Both services are in huge demand across the local area, with increased waiting lists and the help offered makes a huge difference to the individuals involved. Within the past 12 months, Big Hearts Volunteers have carried out 471 jobs for Care and Repair Edinburgh’s clients, many of whom are vulnerable. The aim of both services is to ensure that individuals can live in their own homes in more comfort, security and with greater independence, for as long as possible.